Drones that can record have improved a lot in recent years. You get a more stable flight with built-in GPS and better recording with the built-in cameras. This way even inexperienced people can produce some videos of good quality and they can fly the drone without any difficulties. 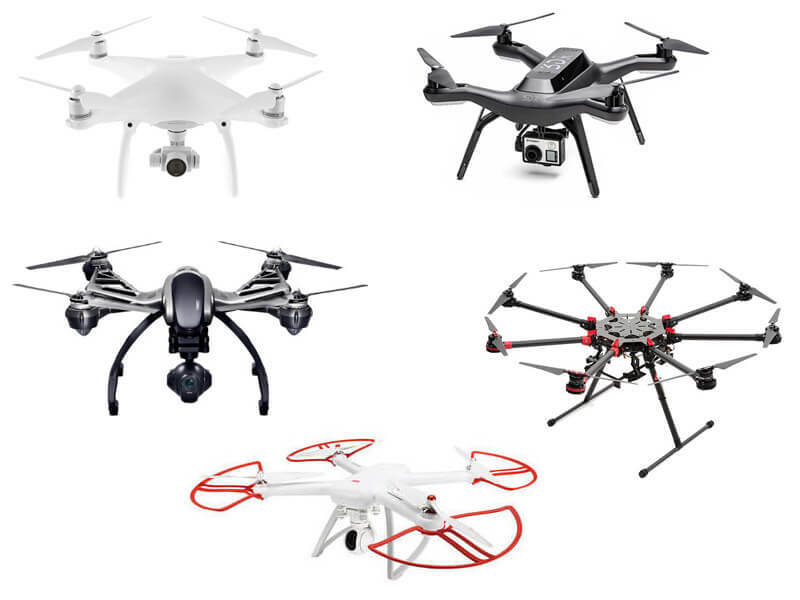 So let’s see the BEST DRONE FOR FILMING list. But before that, there are a few things to note. There are a few things you should consider before looking for a drone. If you are looking for a drone for filming, then the most important thing would be the camera and flying time. Generally speaking, you would want the best quality available at the moment. So right now 4K would be the recommended resolution. Many people have 4K TVs and if you don’t want to offer them a bad experience, you need to at least match that resolution. Now of course not everyone has the money for a 4K drone with camera/camera and you can actually find some older drone models at a low price, but they usually only offer 1080p. So if money is a big worry for you, go for 1080p. The camera choice also heavily depends on your use case. If it’s for personal use, then a 1080p might just be enough. But if you plan on recording something for professional use, then you really need 4K resolution. Flying time is very important if you don’t want to miss any great moment, or if you want to shoot longer and more complex videos. It’s hard to get the perfect shots if you keep having to replace the batteries. The minimum recommended flight time would be around 20 minutes and the ideal flight time would be 30 minutes or more. This can add a lot to the price alongside with the camera, so you need to figure out what your needs are and where the goldilocks zone is. Drones these days are certainly more durable than before, but you still need to keep an eye out for the best of the best. You don’t want to have a short-lived experience with your freshly bought drone. So the best option for a durable drone would be carbon fiber since it’s lightweight, but also durable. DJI drones have always been known for their quality, durability, and elegance. It’s almost like the Apple of drones. 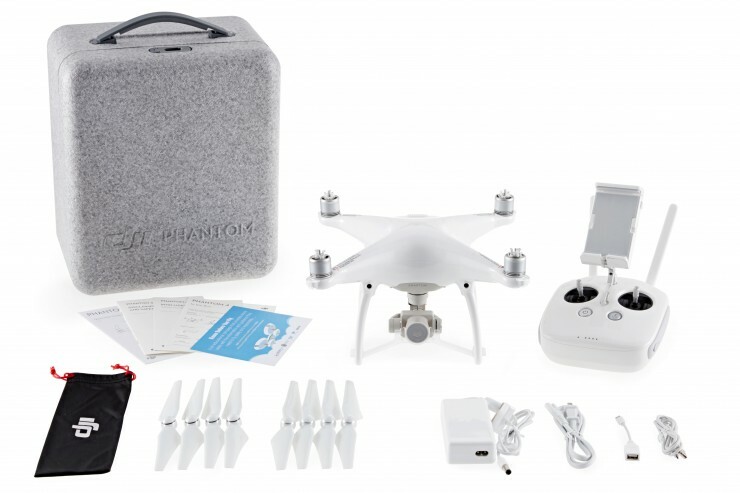 The DJI Phantom 4 makes no exception and it will offer you a good experience. You can use it for recording professional videos since it offers many features like the Obstacle Sensing system, Tap to Fly features, Active Track system that will automatically track anything, many flight modes (Sport, Return to Home and Vision Position Mode) and advanced GPS tech. The camera is like you would expect: awesome. You can capture videos at 4K and 30FPS. You can also take pictures at 4000 x 3000 resolution and 12MP. You also get to have fun with the 1080p @ 120FPS recording which will enable you to make slow motion videos and to add special effects. The drone runs on a Li-Po battery, it manages to fly for about 28 minutes with a fully charged battery and the maximum speed is about 72 km/h with a control range of up to 5km. Price: $1200. 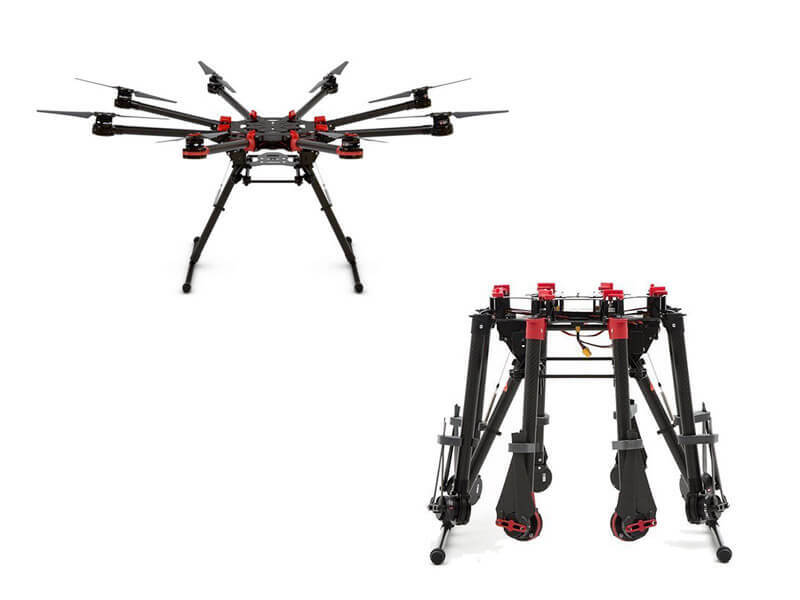 Unlike the last DJI model, this one is an octocopter and it is an almost-ready-to-fly drone. Meaning that you will have to assemble it before you are ready to get it flying. A crucial thing to note here is that you will have to pay for the drone itself and also for the rest of the accessories. So you will need to also buy a gimbal and you will need a compatible camera. This drone seems to be made for people who want something more customizable. The flight time with a 15000mAh battery and 9.5Kg of weight will be around 15 minutes. But if you’re going to buy this thing, it’s pretty clear that you want amazing video quality and you want to use your own camera and gimbal. What the drone offers is great stability even in harsh conditions and it has a large carrying capacity. Price: $1500. 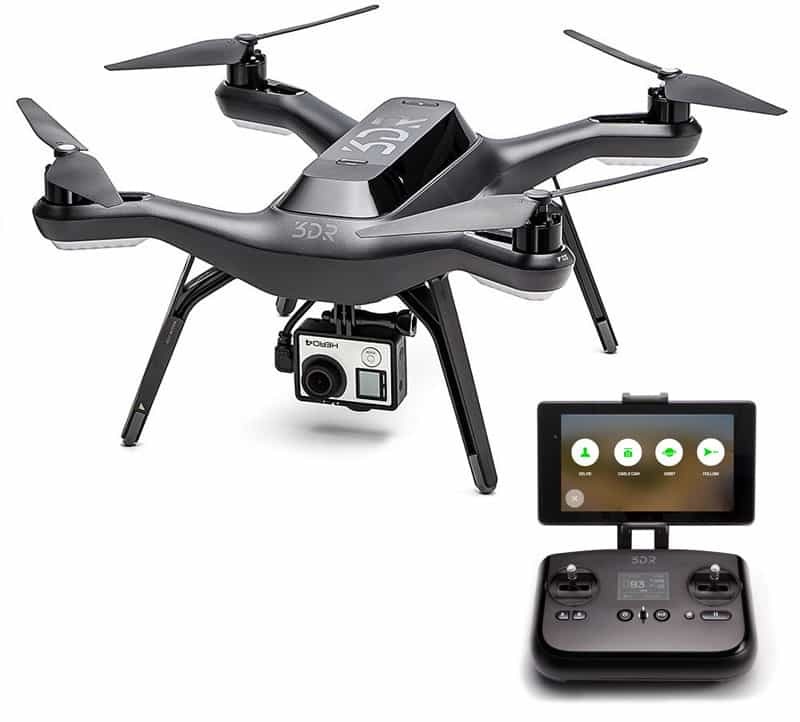 The 3DR Solo is very popular for its low price and decent quality. It gives you the freedom to put your own camera on the gimbal and you can get 4K aerial filming at an amazing price. The good part about this drone is that when 8K cameras will be available on a camera like a GoPro, you will be able to mount it on the 3DR without any problems. Another nice-to-have thing is that the drone is actually “smart” since it is powered by 2 integrated linux computers operating at 1Ghz. Because of this, you get some advanced features like the computer-assisted Smart Shots and pushbutton flight. Price: $1200. 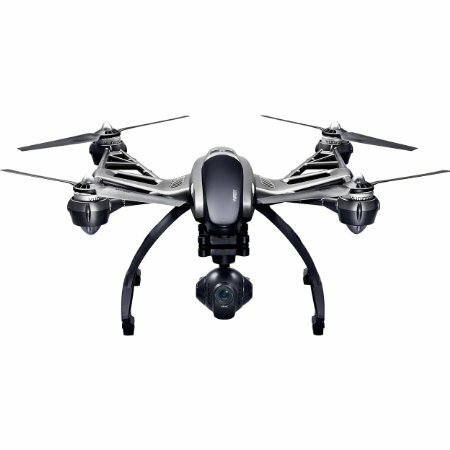 The Q500 seems to be a mid-range drone that is certainly capable of making semi-professional/professional videos. The drone is mostly popular because of the modularity it offers. You get a removable gimbal and that means that you can detach the camera and get some amazing 4k footage even from your hand. The drone doesn’t have obstacle avoidance features, but it certainly is a great choice for people on a budget. Price: $780. The Xiaomi 4K drone is one of the most affordable drones you can get on the actual market. 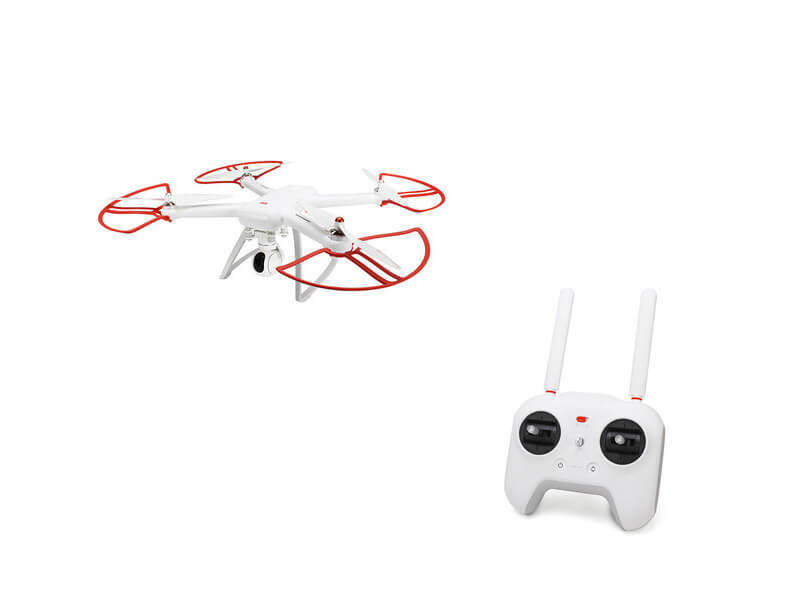 It offers you features which can also be seen on high-end drones like GPS-assisted hover, tracked flight, surrounded flight, route planning, real-time transmission and one key automatic return. The drone uses a 17.4V 5100mAh smart battery that can be used for around 200 times and it will offer 27 minutes of flight time. Xiaomi has always been known for making “smart batteries” and software that makes use of every last bit of battery power. So if you want a cheap filming drone at a lower price and great quality, Xiaomi would be a decent option. 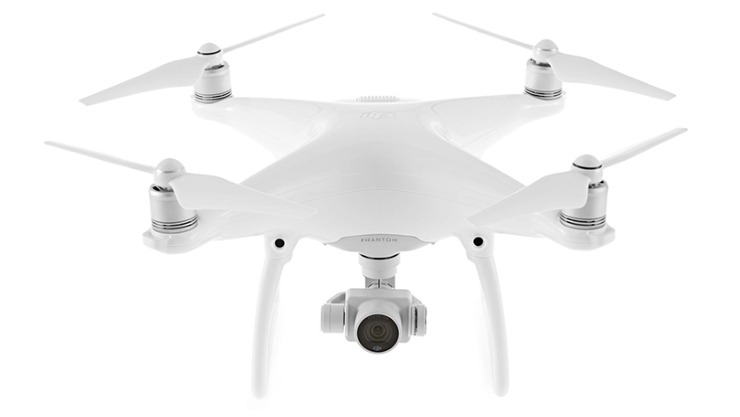 Check out our Xiaomi Mi Drone 4K Camera Quadcopter Deal article for more details. Good filming drones can be very expensive, but there are also decent filming drones at lower prices. You don’t need to sacrifice a lot of money for a 4K experience and good drone features. But if you want to pay less than $400-$500 for a filming drone, you will have to downgrade your desired flight time and video quality in order to match your budget.